The sun is shining and we finally have warm spring weather. 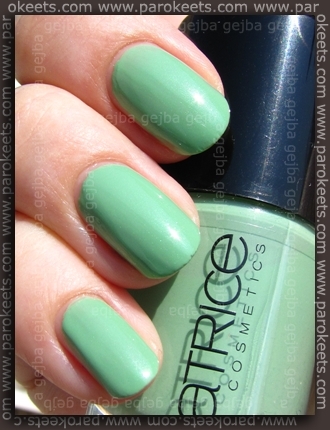 Today I have for you light green shade – Catrice Sold Out For Ever (no. 240). Photos are from my photo archive but this is also my NOTD. 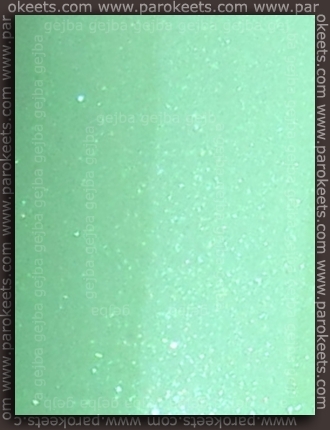 Gorgeous mint green shade has a lot of green shimmer, which is darker than base and very finely ground up. If you can nicely see the green shimmer in the bottle, it looks something like this on the nails. Pretty! I must admit I mostly bought it because I read it’s a Chanel dupe. Mint greens aren’t the greatest color on me but my sister has requested this as a mani four times already and that’s unheard of !